Jeff Moloznik, Vice President of Development at RED Development - Block 23 at Cityscape. Oscar De las Salas, Gensler designer active in the Downtown Phoenix community. Lindsey Feola, AIA, LEED AP BD+C, Associate and architect at Gensler Phoenix with over a decade of experience working on projects connected to the urban environment. Diana Vasquez, Senior Associate and research leader with our Gensler’s research institute. Together, Oscar, Lindsey, and Diana will encourage thoughtful conversation, capture feedback, and gain community insight on the impact current and future developments will have on Downtown Phoenix. Victor Irizarry, Associate and lead designer of the recently completed improvements to the Renaissance Phoenix Downtown Hotel. Victor will lead the tour down Adams Street, primed with insights on what it takes to successfully reimagine mixed-use destinations and insider knowledge behind the new upgrades. 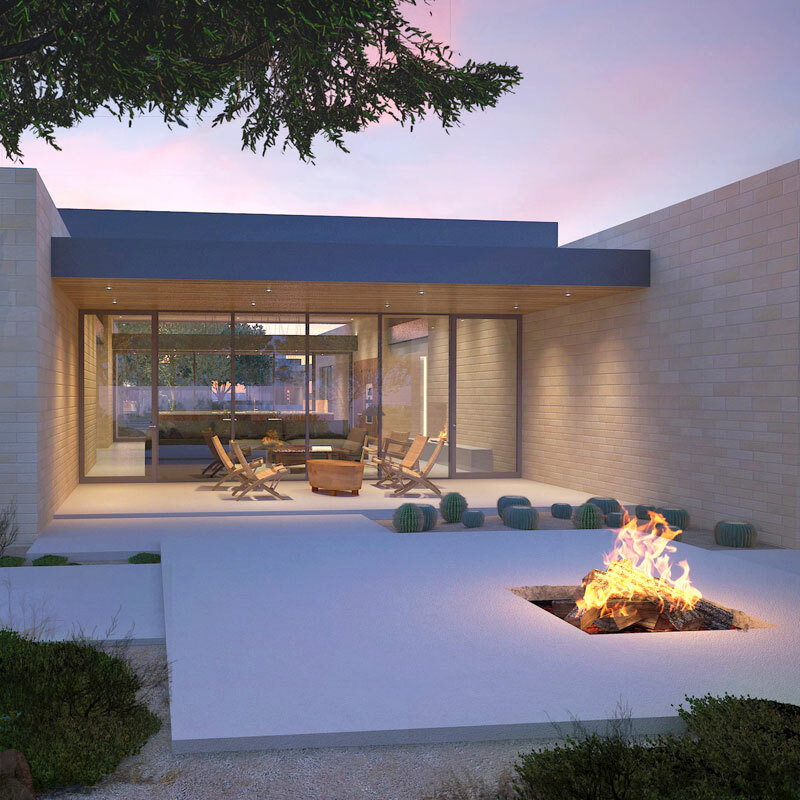 Luis Cruz-Martinez, AIA, LEED AP BD+C, Senior Associate and Technical Director at Gensler Phoenix passionate about designing in the Sonoran Desert. This walking tour will make its way to the Arizona Center, currently undergoing a dramatic transformation from a dated and underutilized mixed-use center to one more responsive to its prime downtown location. ABOUT FRANCIS KERE: Francis is the brilliant founder of Kéré Architecture and internationally recognized for revolutionary projects in his home village of Gando in Burkina Faso, as well as Mali, Germany and Switzerland. His inspirational story stems begins with being the first child in his village to go to school to now becoming a tenured professor at Harvard University. His approach to beautiful design is rooted in an environmentally sound, sustainable and socio-economical approach that serves the people who inhabit those spaces. Kéré continues to reinvest knowledge back into Burkina Faso with strategies that combine traditional building techniques and materials with modern engineering methods. Meet super star young professionals who are leading the charge in shaping "the next" in the arts, design, architecture, and public policy for the good to all. They are from diverse backgrounds, have specific mojos, and push the boundaries in their different worlds (occasionally overlapping). What they do share in common is the glow from their shooting star brightness and how that light uplifts their communities. Learn from fearless and visionary entrepreneurs as they discuss their past and current projects. Tap into their approach to how communities, design, and programming guide development philosophies in creating public spaces, historic preservation, and urban infill. 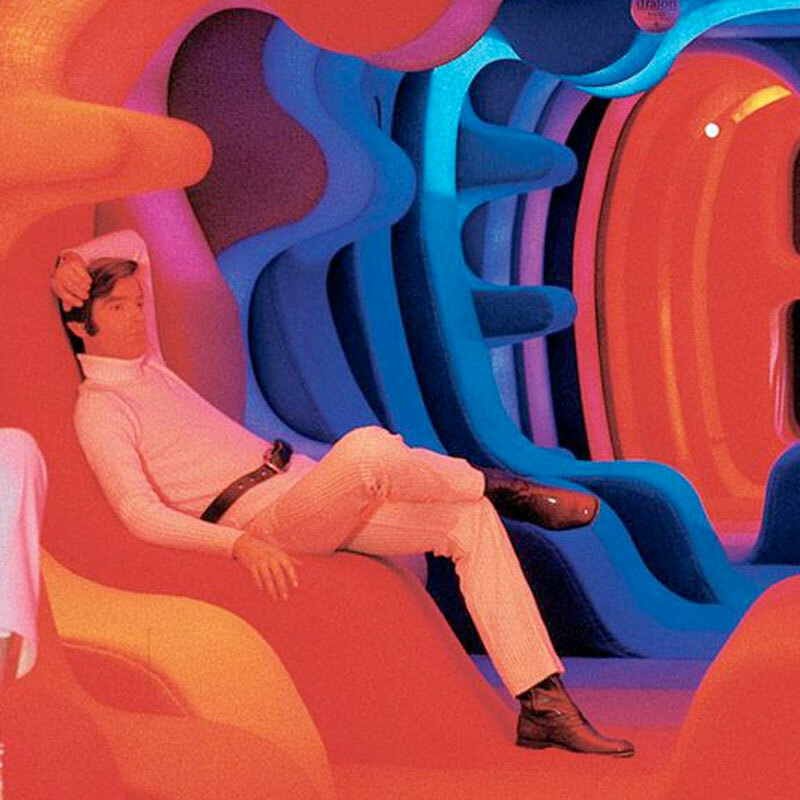 Their pioneering projects, generosity, and mentorship make them living legends. Become immersed in a full sensory arts, culture, culinary and business "bridge building" trip to Mexico City recently taken by a group of artists and entrepreneurs from Phoenix. Learn how the Phoenix group worked with, and was welcomed by, the City of Phoenix Trade Office in Mexico City who facilitated introductions to new creative collaborations and business development opportunities between the two cities. 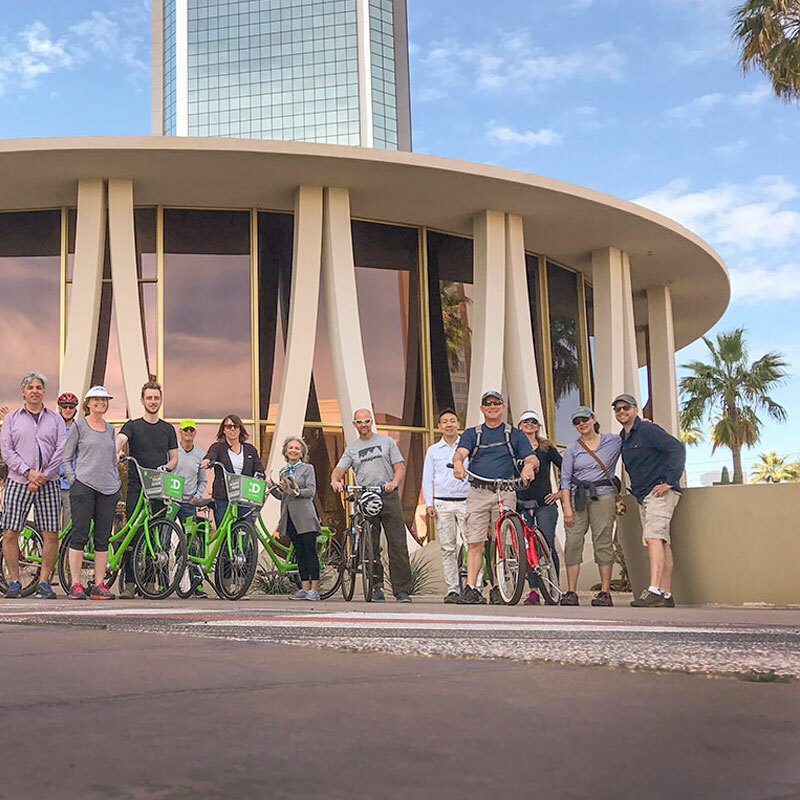 Use Phoenix's GRID bikeshare program to explore midcentury modern architecture with two experts from the Postwar Architecture Task Force of Greater Phoenix with Greg Kilroy. 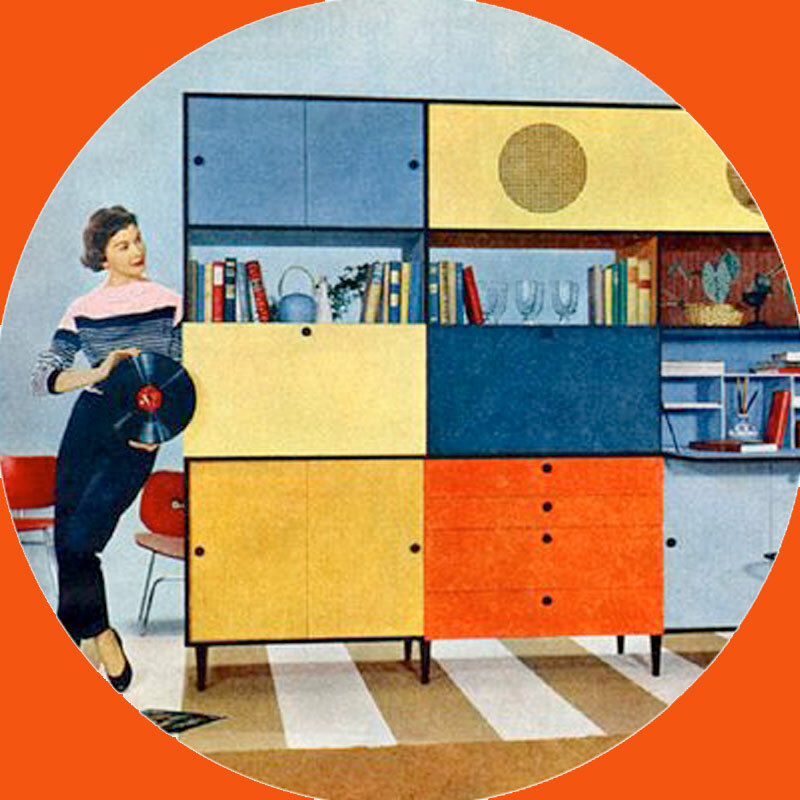 We'll get you orientied to the smartphone-friendly bikeshare rental then take an 8 mile flat and casual ride through Phoenix's midtown midcentury marvels. Bring your camera! 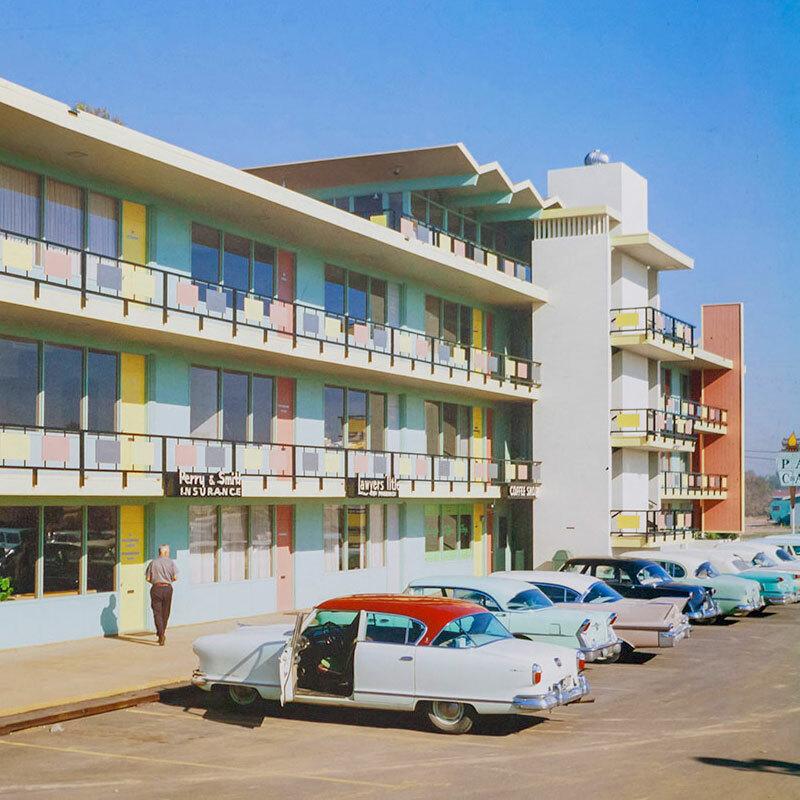 Meet the Postwar Architecture Task Force of Greater Phoenix to hear the behind the scenes story of how two iconic Googie style buildings along the curve on 7th Avenue in the Melrose on 7 district were acquired by forward-thinking owners seeking adaptive reuse. 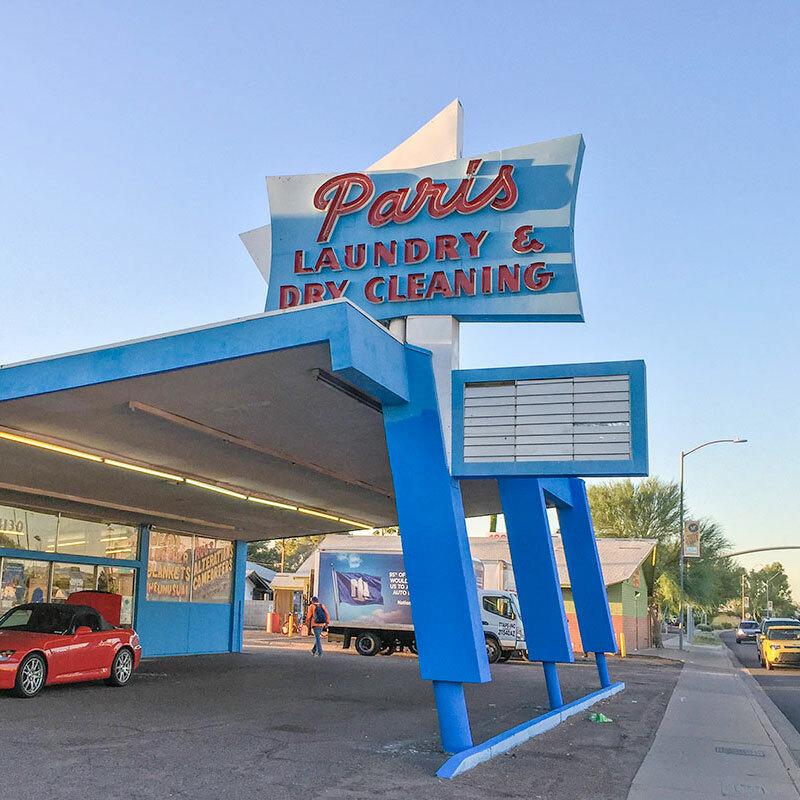 This walking tour and first look with the new owners of Paris Laundry (Modern Manor) and the Little Pink Liquor Store (The Googie on Melrose), as well as other midcentury sites of interest along the Curve. Bring your bike if you like! 1 - 6 pmDavid and Gladys Wright House MAP IT! 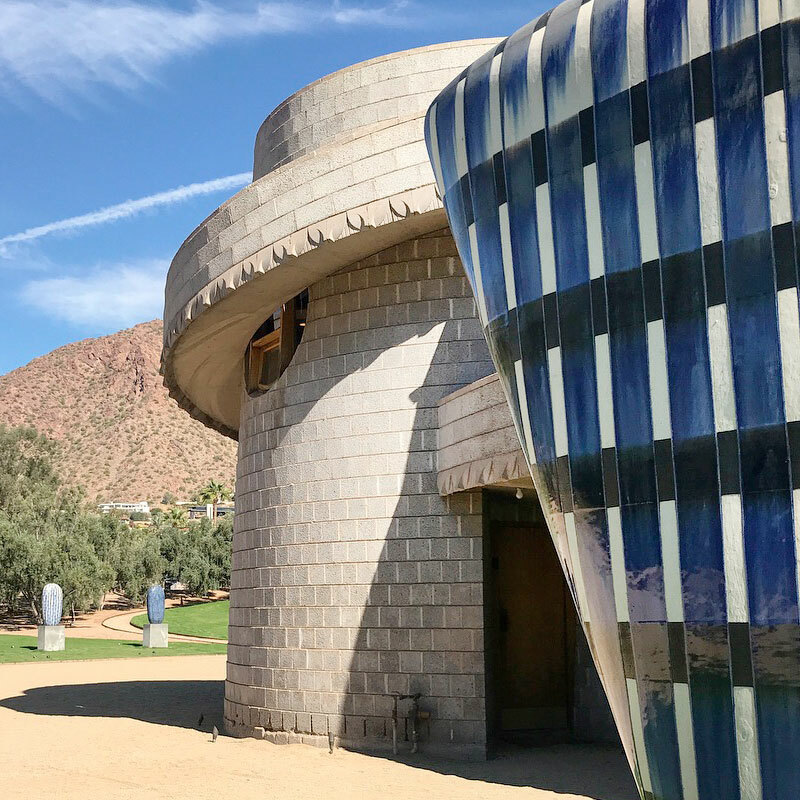 Experience monumental ceramic sculpture by Jun Kaneko created specifically for this Frank LLoyd Wright designed site at the foot of Camelback Mountain. Reserve a visit and be our guest anytime between 1 and 6. You're invited to Day 1 of the Creative City Symposium featuring a line-up of happy hour mingling, an expert speaker and stimulating discussions about Who and What is NEXT for Phoenix. 4 p.m. Doors open for the first Who's Next Happy Hour of the year, presented by AZCentral. Who’s Next is a program that highlights the dynamic young people shaping the Valley and the state. The goal? To identify and track the next generation of Arizona movers and shakers. We'll be celebrating those who are making a mark. 6 p.m. We are pleased to present keynote speaker brought to you by Modern Phoenix, Alexandra Lange, Design Critic for Curbed.com. She's also author of Writing About Architecture: Mastering the Language of Buildings and Cities (Princeton Architectural Press, 2012), a primer on how to read and write architecture criticism. A What's Next panel discussion will follow Lange's presentation. 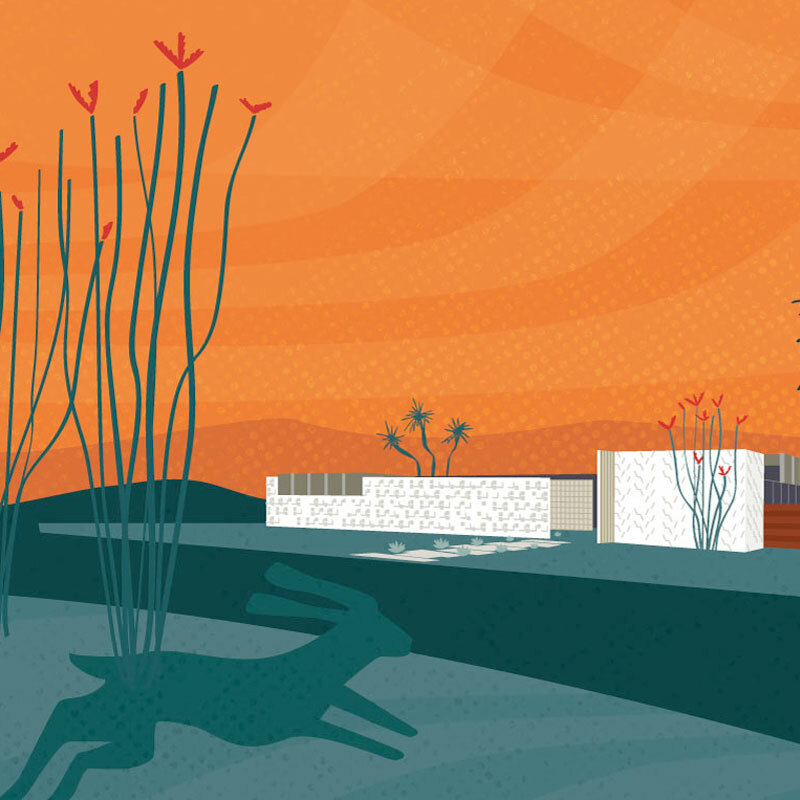 We are proud to share this exciting night of Art Detour 30 programming with partners Modern Phoenix Week, Phoenix Urban Design Week, AIA PHX Metro, and in collaboration with the City of Phoenix Office of Arts and Culture. The Creative City Symposium series is a partnership of Artlink and Phoenix Community Alliance (PCA), which produces the ArtWorks PHX initiative, spearheaded by participating members of PCA's Arts, Culture and Public Life Committee. We are proud to share this exciting night of Art Detour 30 programming with partners American Art Collector, Phoenix Community Alliance, Phoenix Urban Design Week, Phoenix Art Museum and in collaboration with the City of Phoenix Office of Arts and Culture. The event is the closing night of Art Detour 30, March 15-20, 2018. Tickets are $10 and available at the door or at artdetour.com. No host bar. For more information about the event, map and directions and other details, please visit artdetour.com. The Creative City Symposium series is a partnership of Artlink and Phoenix Community Alliance (PCA), which produces the ArtWorks PHX initiative, spearheaded by participating members of PCA's Arts, Culture and Public Life Committee. More about Joshua Rose: Joshua Rose is the Editor of American Art Collector, Western Art Collector, American Fine Art and Native American Art magazines. As such, he travels to many events around the country visiting galleries and museums, speaking to collectors and attending art fairs. He has spoken at such places as the San Francisco Fine Art Fair, the Boston International Fine Art Show, the Cape Cod Museum of Art, the Los Angeles Art Show, the Booth Museum and the Oil Painters of America National Exhibition on such topics as collecting realist paintings and current trends in the art market. This will be his panel discussion on trends in the Phoenix area market. StudioROEDER is a multidisciplinary studio engaged in providing design, construction, and custom fabrication services. Approach to each project, regardless of scale or type, aims to amplify a sense of place and purpose while being responsibly connected to it's context and function. Design excellence is achieved through the investigation of spatial relationships coupled with the appropriate use of materials and construction methods along with a thorough understanding of the clients programmatic and budgetary needs. Works ranging from public design projects to custom fabrication provide a sense of intimacy & exploration between the user and their environment. Features full access to modern homes in Marion Estates and surrounding Camelback foothills area. 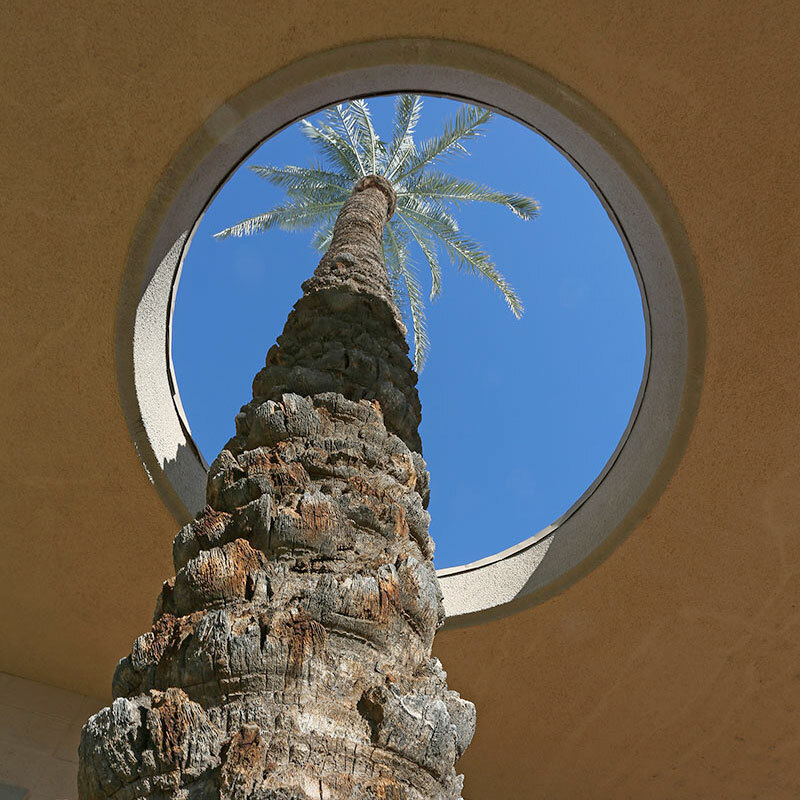 Mature native landscaping, gentle slopes, dramatic desert washes and spectacular views of Camelback Mountain and Praying Monk make this 50's era neighborhood of custom homes a fan favorite. The tour is park-and-walk with many homes clustered within walking distance of each other. A map will be provided at check-in on tour day. Rain or shine, terms and conditions apply.